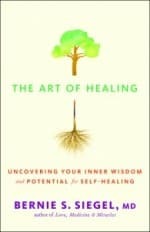 Dr.Bernie & Lionel share expert advice on topics around Health and Healing. Their messages of hope, happiness and love are extended to all who seek a whole person approach for living life fully. Deborah Beauvais is honored to bring a feminine perspective to the show. Topics range from Bernie’s amazing journey of life to his books and favorite authors’ quotes, to God and everything in between. Katy Butler is an Award-winning journalist, public speaker, and bestselling author. Katy has written two groundbreaking books about the end of life and is a thought leader in the national movement for medical reform. Her first book, Knocking on Heaven’s Door: the Path to a Better Way of Death, a national bestseller, was named one of the 100 Most Notable Books of 2013 by the New York Times. Her new book, The Art of Dying Well: a Practical Guide to a Good End of Life, released by Scribner on February 19, 2019. A popular speaker on doctor-patient communication and the choices families face near the end of life, Katy has given keynotes and Grand Rounds at Harvard Medical School, Kaiser Permanente,UCSF, and elsewhere. Born in South Africa and raised in Oxford, England, Katy came to America as a girl, earned a BA from Wesleyan University, and was a staff reporter for The San Francisco Chronicle. A Buddhist, she was lay-ordained by the Vietnamese monk and peace activist Thich Nhat Hanh. She lives in northern California. In her years as a journalist, she interviewed Jeff Bridges, Richard Nixon and Mickey Hart, lived on the streets as a homeless person, wrote tickets as a Meter Maid, and reported on the AIDS Quilt, Gyuto monks, and the neuroscience of teenage drinking. Her writing has appeared in The New Yorker; Mother Jones; Scientific American, Atlantic,, Tricycle, Psychotherapy Networker; Best American Essays, and Best American Science Writing. Her groundbreaking 2010 New York Times Magazine article about her family’s difficult end-of-life experiences (“What Broke My Father’s Heart”) hit a nerve and went viral. It remained on the Times’s “most emailed” lists for over a month, was named a Notable Narrative by Harvard’s Nieman Foundation, and won the Science in Society prize from the National Association of Science Writers. It was the basis of her first book, Knocking on Heaven’s Door. 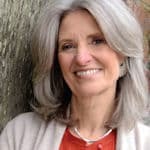 Her interests include Slow Medicine, aging parents, bioethics, parental caregiving, spirituality, dementia, family caregiving, Alzheimer’s Disease, end of life decisions, compassionate care, comfort care, palliative care, hospice, meditation, Zen practice, Buddhism, and how people transform themselves and their lives, especially at the boundary of the psychological and the spiritual. She has taught writing at Esalen Institute in Big Sur and at Tassajara Zen Mountain Center. BIO: For many, Dr. Bernard Siegel—or Bernie, as he prefers to be called—needs no introduction. He has touched many lives all over the Planet. In 1978, he reached a national and then international audience when he began talking about patient empowerment and the choice to live fully and die in peace. As a physician who has cared for and counseled innumerable people whose mortality has been threatened by illness, Bernie embraces a philosophy of living and dying that stands at the forefront of the medical ethics and spiritual issues our Society grapples with today. In May 2011, Bernie was honored by the Watkins Review of London, England, as one of the Top 20 Spiritually Influential Living People on the Planet. He continues to break new ground in the field of healing, supporting changes in medical education to “humanize” medical practice. BIO: Co-Host: Lionel Ketchian became happy on December 24th, 1990. He has been happy since that time and realizes happiness is very important to each of us and a giant step toward peace in the world. Lionel is the past President of LRK Communications Inc in Fairfield, CT since 1979. He is the author of the book, Food for Thought, published in 1989. He was co-host of: “Successful Living,” a live, call-in Radio Talk Show from 1986-1993. Lionel taught classes on Happiness, at Sacred Heart University from 1999-2002. Lionel is the founder of the Happiness Clubs, which holds free monthly meetings at over 100 clubs around the world. 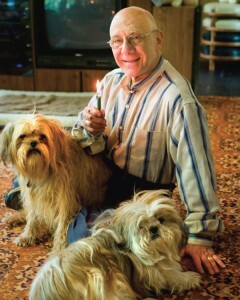 He started the web site www.HappinessClub.com in 1999 and offers free happiness newsletters by e-mail. 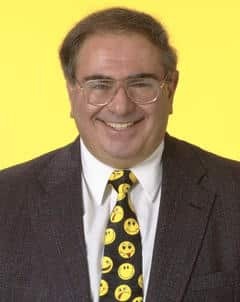 Lionel wrote the column called the Be Happy Zone, published by the Fairfield Citizen-News, from 2000 – 2011. He is the co-host of “The Happiness Show,” broadcast on TV by Cablevision of Connecticut. Lionel is the co-founder of OnGo Health, which engages seniors with wellness activity meetings. Lionel is the co-founder of OnGo Health, which engages in WAM – Wellness Activities Meetings http://www.ongohealth.com/. Lionel has been married since 1968 and is the father of three wonderful kids and the grandfather to four terrific grand children. Your happiness is important to him.